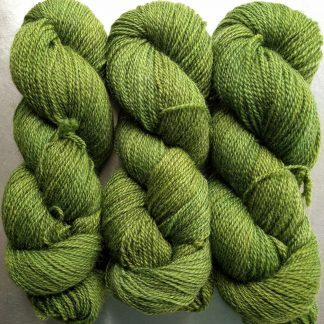 Geraint Sport is a cosy, bouncy yarn spun from superwash British Bluefaced Leicester (BFL). It has a rounded, 3-ply construction with good twist and stitch definition, and is an excellent all-round, general purpose yarn. Purchase this product now and earn 144 Reward Points! 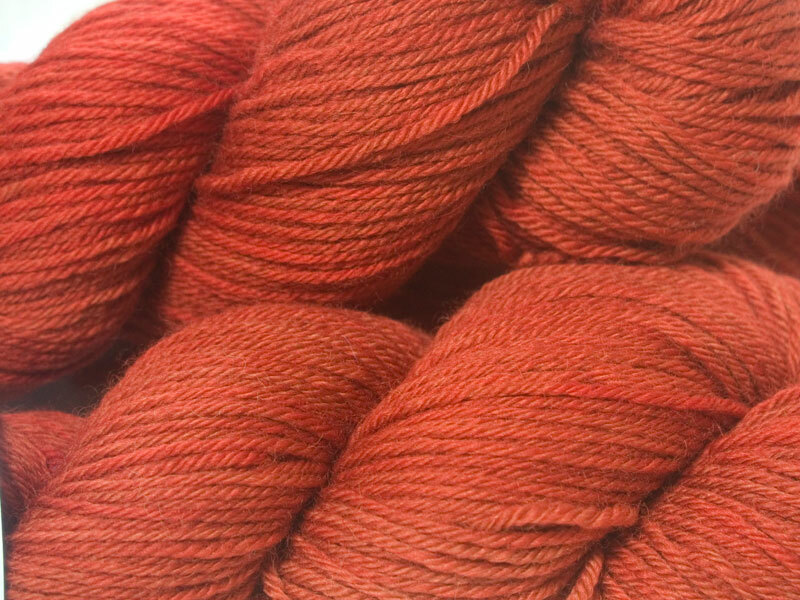 Fiery orange-red hand-dyed superwash Bluefaced Leicester yarn. 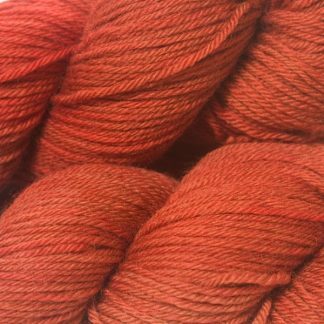 Geraint Sport is a cosy, bouncy yarn spun from superwash British Bluefaced Leicester (BFL). 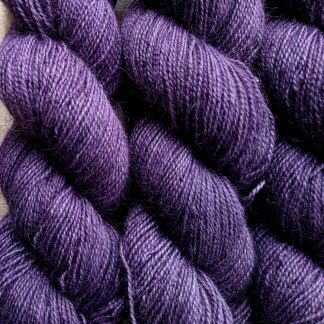 It has a rounded, 3-ply construction and is a good all-round, general purpose yarn. Each 100 gram hank is approximately 270 metres of yarn. 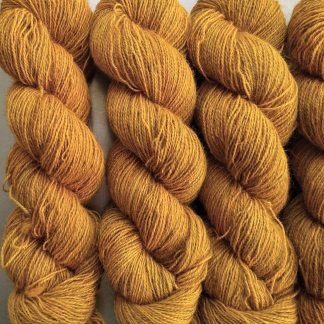 I would recommend a hand-wash with gentle detergent in hand-hot water in order to keep the colours looking their best, however the yarn is superwash. 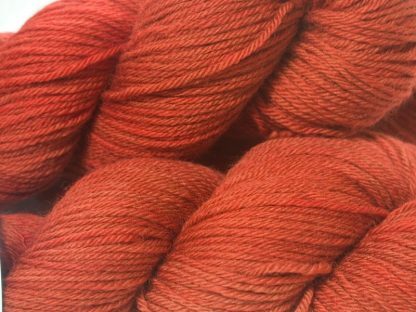 The yarn has been hand-dyed in a smoke-free and pet-friendly home, but no pets have had access to the fibre. Please be aware that, while I make every attempt to provide you with accurate photographs, the colours in them may vary from monitor to monitor.